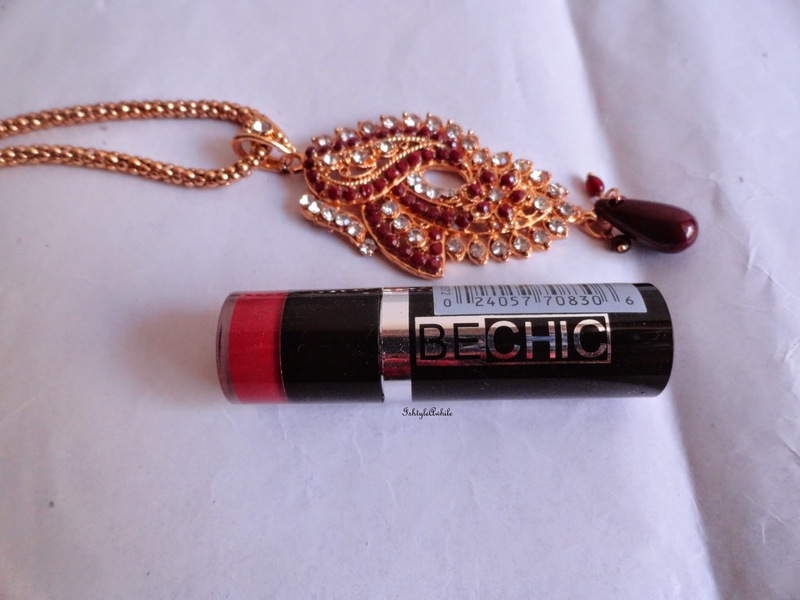 IshtyleAwhile - A Chennai based Indian Fashion Blog - REVIEW: Palladio Be Chic Lipstick in Merlot. 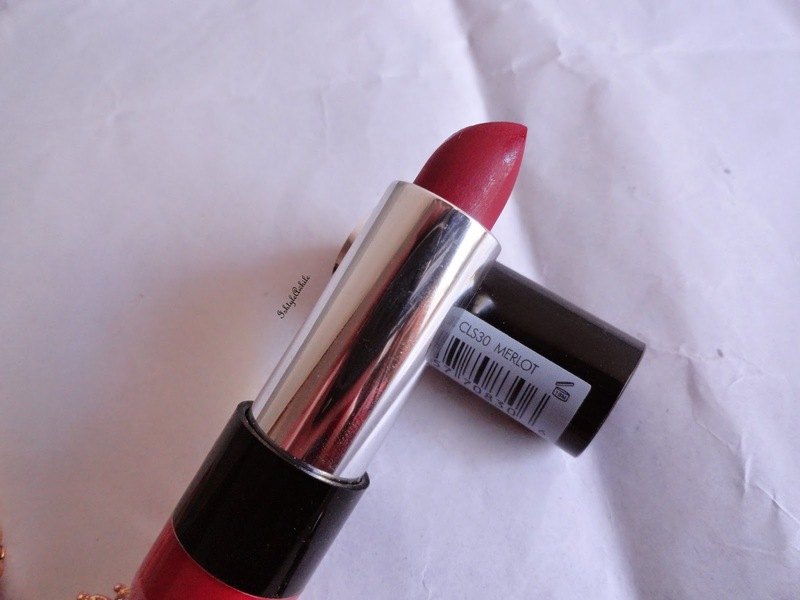 REVIEW: Palladio Be Chic Lipstick in Merlot. 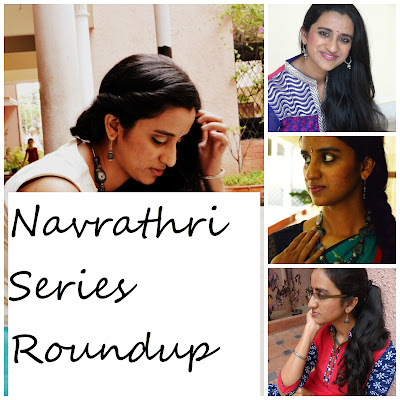 Palladio is a brand that I had never heard of until I read reviews of some Fabbag posts on other blogs. 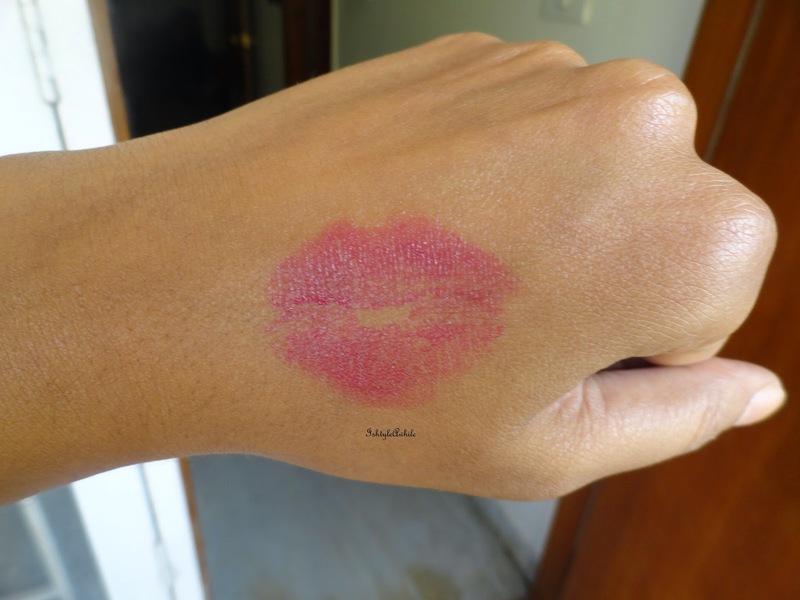 In one month Fabbag has sent Palladio eyeshadows and when I ordered the August bag, I received a Palladio lipstick. The shade is called Merlot. When I opened it and saw the colour I thought it looked a bit dark and its certainly not a colour I would have selected. However I have loved the colour ever since I tried it the first time. The packaging is a simple black tube with a silver band. The word Be Chic as written on the side but no where does it say Palladio! 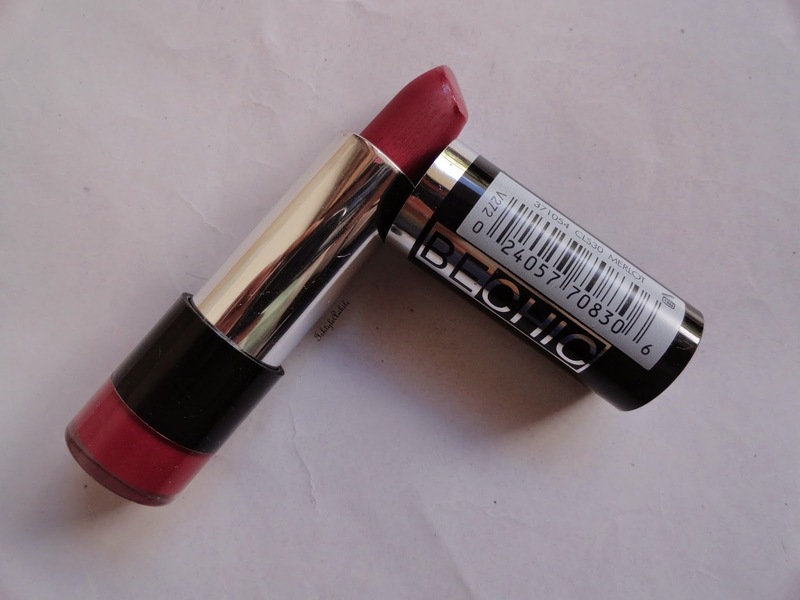 The colour of the lipstick is there as a band at the bottom and the name is on the top. Picking this out from my lipstick collection is pretty easy. The packing is kind of tight. I had a tough time getting the cap of the first time I opened it. It is definitely travel safe. 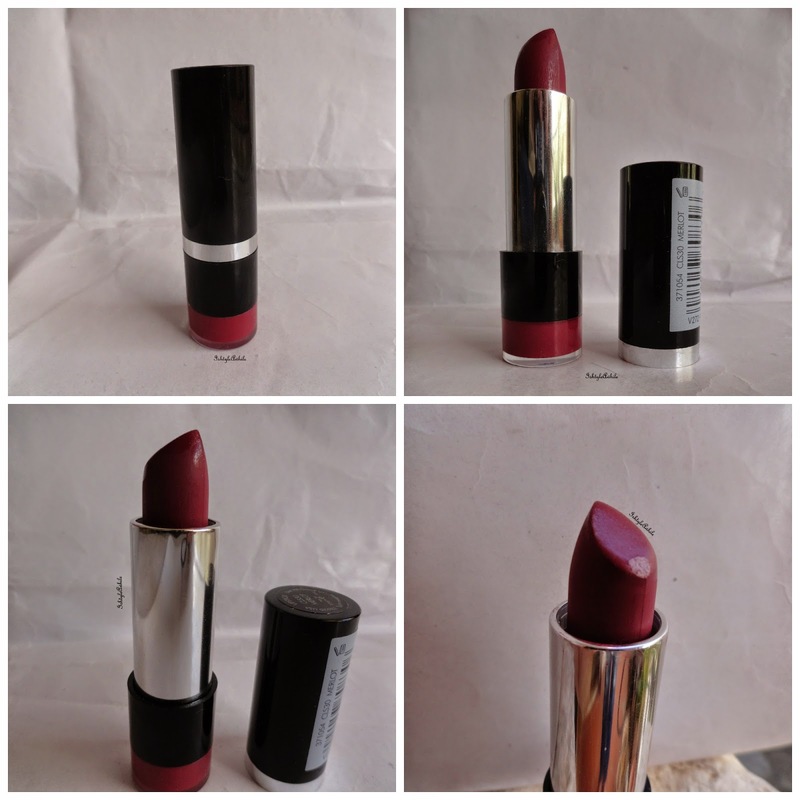 The colour is a maroon with pink and plum undertones. I am literally searching for words to describe the colour. It is pretty unique. 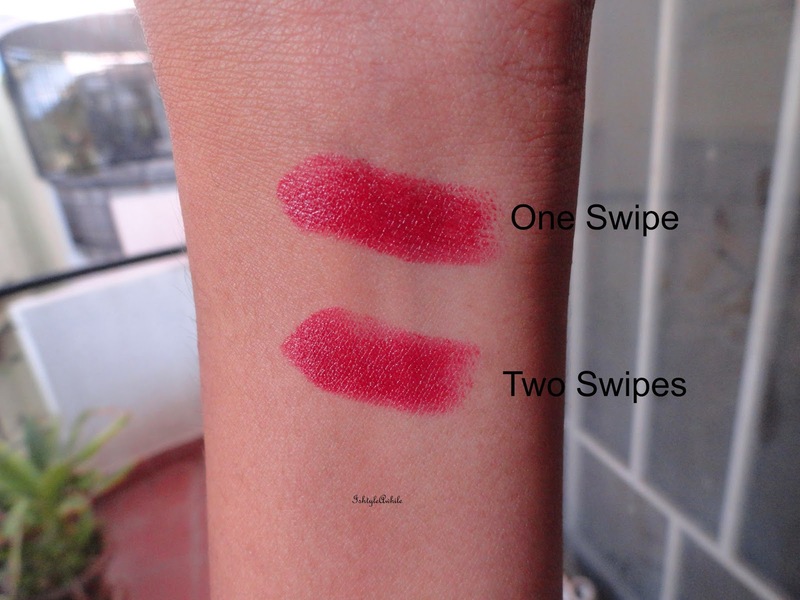 A very pigmented lipstick and so you need only one swipe to a good colour. The colour isn't really buildable. 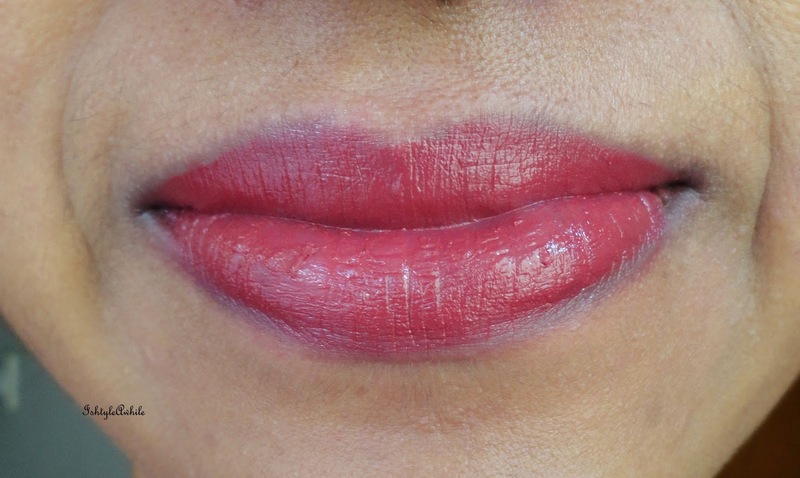 You can tone down the colour but just patting into onto your lips instead of swiping it. But multiple swipes doesn't build the colour much. After 2 swipes it gets saturated and that's it. There is a normal lipsticky scent and no taste. The finish looks matte in the packaging and it matte on the lips as well. However it isn't drying. It isn't moisturizing as well. 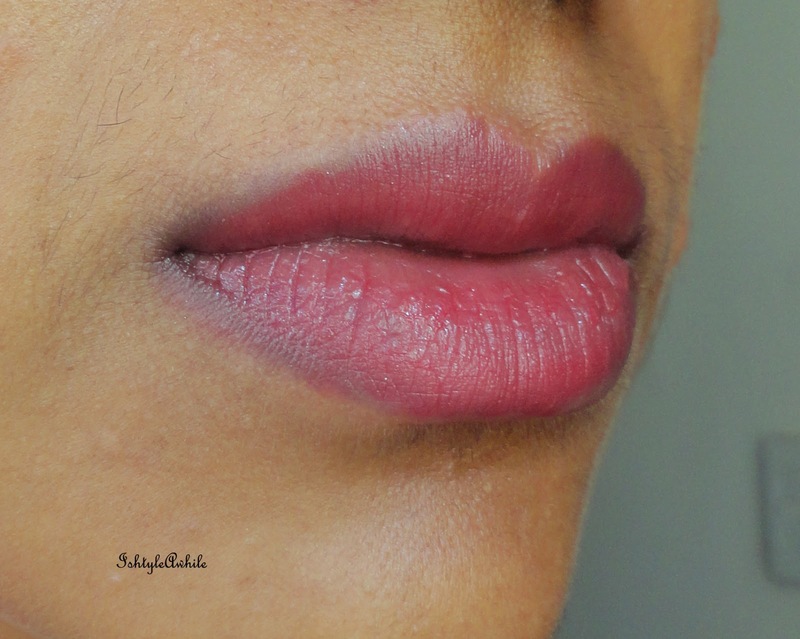 If you have dry lips, it will show the dryness. 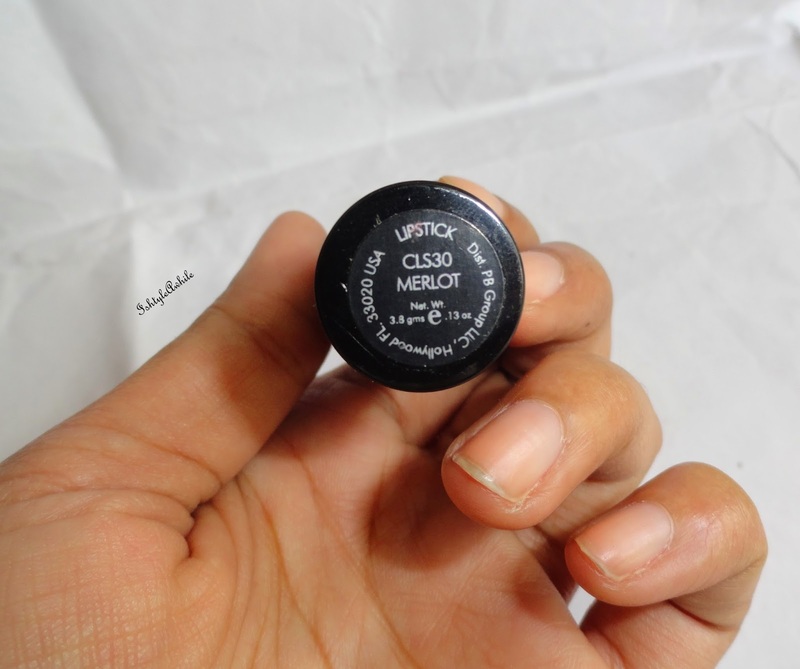 It does on creamy but has a matte finish. just patted onto the lips for a stain effect. The staying power is about 3-4 hours. If you eat, it will fade but not completely. It starts to look like a stain. The only thing I don't like is the fact that at the end of the day, the colour has faded odd but it looks like I a wearing a lip liner. Somehow the colour just remains around the edges. The colour transfers like crazy. I always think of that Aryan's song- dehka hai tere ankhon ko. This is lipstick could have totally been used to make that video. 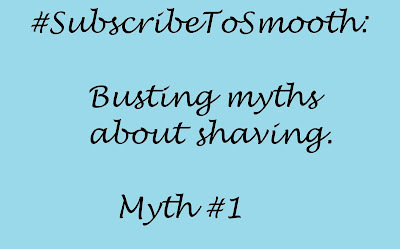 There is no bleeding or feathering. The colour. I have worn this so much this month! The price seems quite reasonable. No. Not because I don't like it. But getting through one tube of lipstick is hard enough. 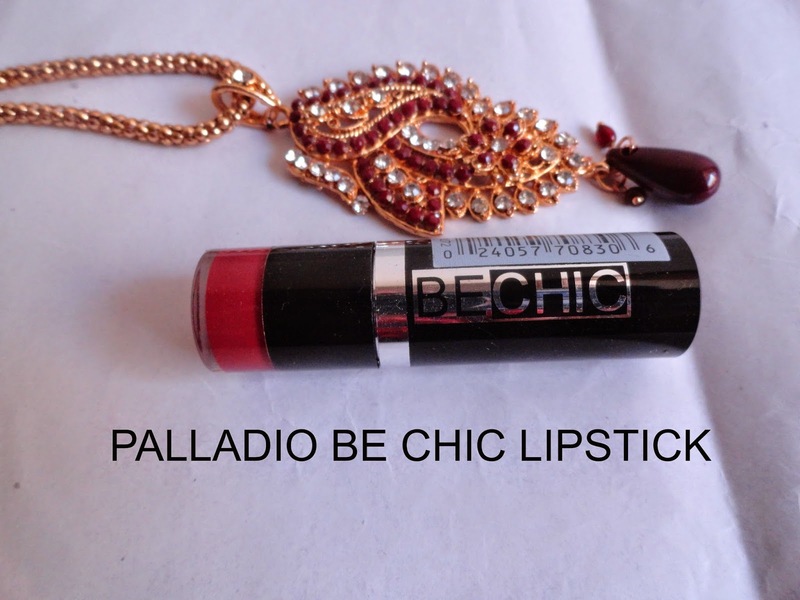 Have you tried the Palladio Be Chic lipsticks? What are your thoughts on this?